Attaining the #1 positions for a company's relevant search terms is considered one of the ultimate goals of any marketing department. Giant Concepts designs unique and innovative strategies to achieve these goals! Increasing search engine positioning leads to increased visibility which leads to more sales, more awareness and more revenue and profit for companies. 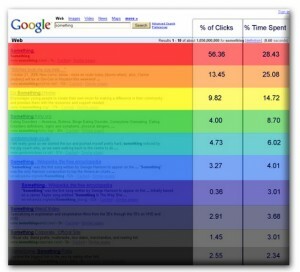 Less than 5% of all clicks occur after the first page of search results. The search engines aren't just for finding information, they are perceived by users as a measure of reputation. The higher a company ranks for a term, the more reputable that company is perceived to be. Paid or sponsored search is typically referred to as Search Engine Marketing (SEM), while the process of optimizing a website for natural ranking is called Search Engine Optimization (SEO). At Giant Concepts, we understand how critical search visibility is for the success of businesses in today’s economic climate. Usage of the Internet is constantly expanding at an estimated rate of 100% in every country of the world and growing by as much as 1000% in others. With potential customers worldwide, and with that volume of potential customers, it’s hard to argue that your website alone can give you a truly competitive advantage. Millions of search users each day are looking to find websites similar to yours because they want to buy products and services. 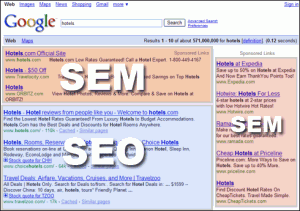 Are they finding you at the top of the search engine results? They should be! In contrast to what you might think, it is entirely possible to engineer a high ranking site for search engines like Google, Yahoo! and Bing. The complicated process is called Search Engine Optimization. 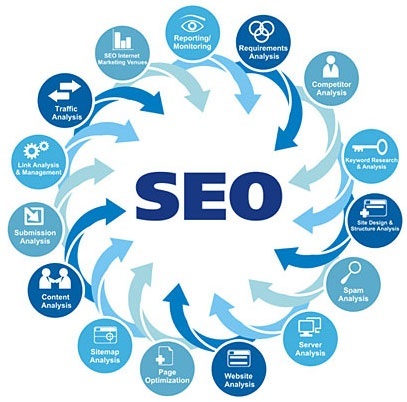 In a nutshell, SEO is the optimization of a website’s design, linking, coding, and the implementation of proper content and elements so that your site can achieve high placement on search engine results pages for keyword phrases that are the most relevant to your products or services. This allows you to receive qualified traffic from those actively looking for a product or service that you offer. One study represented above shows a 2000% increase in potential traffic from the #10 position to the #1 position. Potentially, millions of daily search users will see your company website URL at the top of their search results, and your traffic will grow as your site is optimized for phrases that will bring ROI. We realize that almost every business model is different, and as a result, your Search Engine Optimization needs will vary based on your goals, budget, keywords and revenue objectives. The current status of your website is also an important consideration. We customize every single aspect of our clients’ SEO campaigns, prioritizing the various factors involved in a campaign in order to maximize ROI. There’s absolutely no “one size fits all” optimization solution, as Search Engine Optimization is a dynamic concept that changes constantly. We take an in-depth look at your business, your model, your site, and your competition to determine the best search engine optimization strategy that will be successful for you. 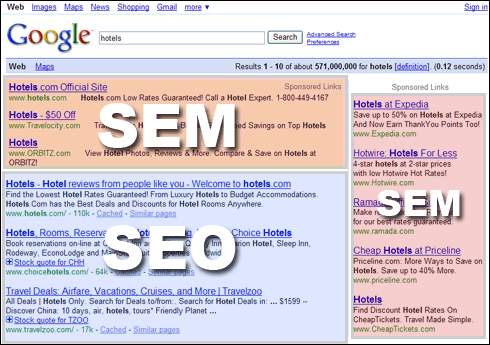 Search engines have become more than just search engines. 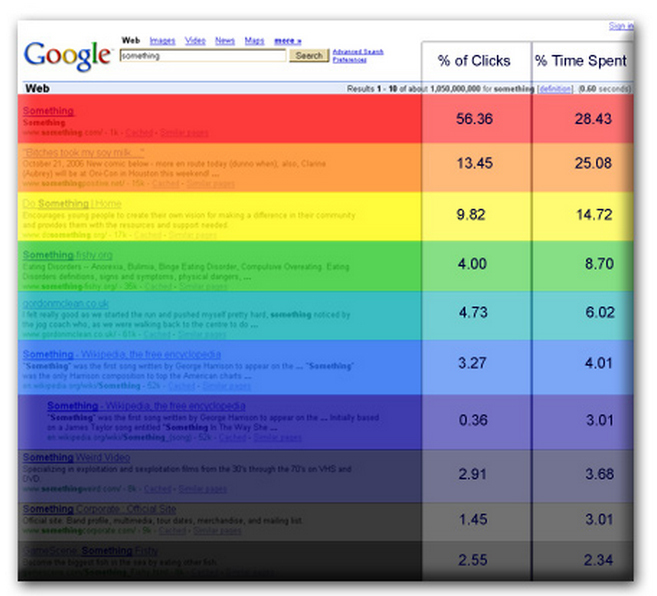 People apply value to the items that come up on search engines. The higher ranking on a search term that a website is, the more “reputable” that website is thought to be compared to those that don’t rank. There are many steps to achieving the full potential of your website. Giant Concepts utilizes multi-point analysis and methods to achieve your goals. Every SEO company will go about the process of optimizing a website a little differently. Giant Concepts takes a multi stage approach that begins with a detailed assessment of the current situation. We try to understand each client’s business model to the best of our ability and design search optimization strategies accordingly. After the general business assessment, we research your current website for accessibility, structure, and keywords, and then we benchmark your website for the most relevant search terms. The initial benchmark analysis is reviewed constantly and compared to updated analyses throughout the life of the client relationship. After analyizing all aspects of your project and working with you to identify your unique search engine optimization requirements, we develop an in-depth strategy plan that includes everything from website structure to implementation of all SEO elements. We develop lists of keywords, and utilizing our proprietary software, we determine the best combination of SEO elements for you. After you have approved our strategy plan(s), we work with you or implement ourselves all the necessary changes and adjustments to your website to ensure better search engine ranking. Additionally, we will execute any number of additional strategies including content deployment, linking strategies, social media optimization, word of mouth marketing stratagies and more. Search engines rank sites based on secret algorithms that are known only to the search engines. Giant Concepts engineers have been doing search optimization since the practice began in the mid-1990’s. Through our internal testing labs, we have been able to successfully reverse engineer many of the variables that these algorithms take into consideration. Throughout the life of the relationship, we constantly monitor the results of our search optimization efforts and we provide you with 100% transparency into everything that we do. This ensures a win-win situation as you know what we are doing and the ROI our efforts are bringing. We continuously monitor ranking, make adjustments as needed, and provide you with a visual analysis of the improvement our services are providing.